Replaces any standard bare light bulb! My Garage is Bright ! Very happy with these, I have four now. 2 in each large garage and they are bright an reliable ! I replaced two 300 watt incandescent bulbs with 4 of these large LED bulbs. 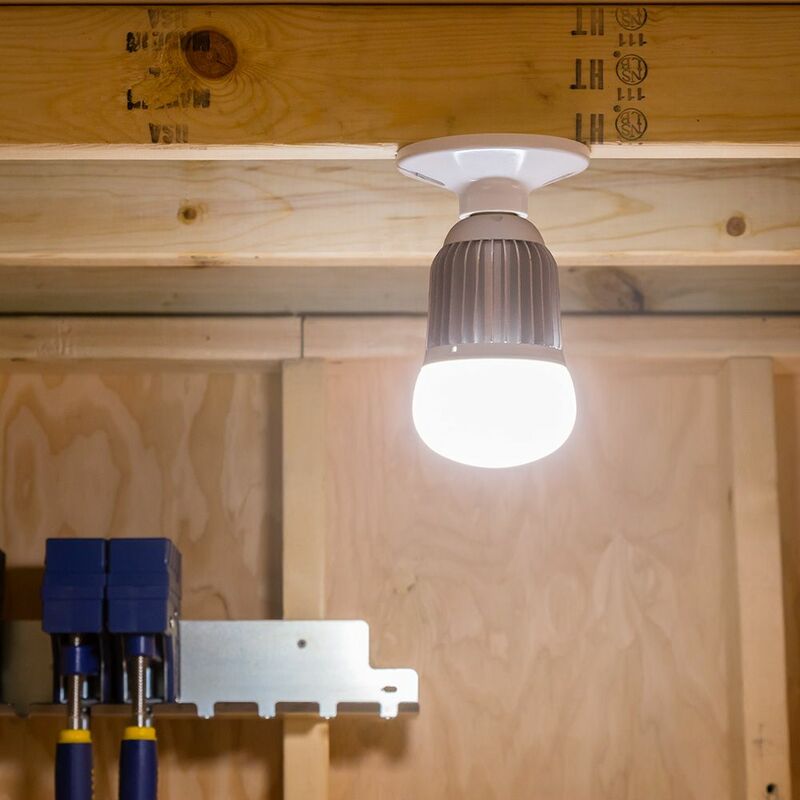 With only 30 to 50 watt per bulb energy draw on the LED BULBS I have significantly more light in my workshop shed and a great energy savings. You can't beat it ... I bought one ... it did so good of a job, I bought two more. Yes, I highly recommend it. WOW! What a difference a bulb makes! Great purchase for minimal investment. The whole family loves it! Honestly I didn't think this LED bulb would be bright enough for the basement application for which I made the purchase. I was way wrong! Not only does it give much more light than I thought, it throws light into another area where we needed more light. If it lasts I'd buy it again! Lots of light for a high ceiling shop. We'll see how long it lasts. Bought one some time ago. Worked great. Bought the second one. Should have bought both when first available. I have 6 recessed lights in my shop and replace 2 with these bulbs. The ceiling is 10’ and they help brighten the shop a lot making it way easier and more comfortable to work. I would highly recommend and am glad I bought the stronger lumens bulb. They do stick out of the can quite a bit but I was able to find a ring to give it a more finished look. Best led I have bought. Got them on sale so I saved quite a bit. Lights up my garage nicely. We have recently remodeled our basement and I needed new light sources. Installing these were a better option than buying expensive light fixtures. I love them! I installed these bulbs in my shop and the light is terrific. I also like the bulbs with a shroud to direct the light downward. I love the big bulbs and plan on ordering more when they go on sale again. This bulb produces an abundance of light in my workshop.Would recommend for any shop. I put one of these in my garage overhead light socket, it really brightens up the garage. I put another in my workshop replacing a spiral florescent bulb. It is much brighter and uses less energy. I purchased the 2570 lumens, Can't image how bright the 4275 one must be. I will likely buy more at some point. Big bulb equals lots of light. The multiple LEDs in this light really brighten up an area. I put one in each bay of my three car garage and they light it up from wall to wall. Perfect lighting solution. Worth the price. I have replaced all the incandescent lights in my unfinished basement with these LED bulbs. Much brighter than the 100 Watt bulbs they replaced and use less electricity!!! These bulbs are very bright. They light up the shop very well. I liked them so much I bought more and plan to replace all of my florescent tube fixtures with these bulbs. Great LED bulb. Use it for supplemental light on my work bench. 4 bulbs light up my 26'x 32' shop very well. Lights are extremely bright, which is good. I would recommend unless you have a ceiling 8' or lower in which they may be an obstruction. These provide lots of light with good color. Lights up the entire garage. Because it is LED, no issues with coming on in cold Chicago weather. Great product. I ordered the smaller of the two bulbs. I have three now in my basement. These are great light and illuminate the basement area I work in very well. That area is half the floor space in my basement. I would recommend these lights. So if you need light, these are the ticket. I bought the 4275 Lumen bulbs and they are like the sun. These are way better than normal LED lighting from the big box store. They make a great improvement in my shop and I will be upgrading more as my budget allows. Transformed my barn from dungeon to daylight! I put this bulb in my store room in the back of the shop because it was always a difficult task to find things quickly even with a 100 watt bulb. This bulb is like having a 300 watt bulb and it stays cool to the touch. No problem seeing everywhere in the store room now. Highly recommend it. All I can say about these bulbs are they are totally amazing! I have 10' ceilings in my shop and was using 135w incondesent bulbs which were ok so I thought. After I installed two of these, the difference was like day and night. I have ordered four more to replace the remaining old bulbs. The two 2750 lumen bulbs provide great light for the garage--better than I expected. LED Big Bulbs are great. I plan on replacing the 12 4ft tube lights in my shop with the LED Big Bulbs. finally I can see in my workshop! Well worth the money cost. Good bright light for working. These are great. They work so good I bought another. Now my garage workshop has plenty of light. I installed 2 of these in my basement and am very pleased with the bright output of the lights. The big bulbs replaced 300w incandescent bulbs in my workshop. They work great. The color of the light is much whiter, more sunlight like, and the power consumption is only 25%. I just put in two of these inmy small shop and I couldn’t be more pleased! Wonderful upgrade from the old florescent lights. I got these for the basement workshop. Just two of them to try them for now. What a difference. Now the wife wants one for her laundry room and I have two more places I want them. Love the bright wide light. Makes my workshop much better. My "shop" is an unheated garage, so I have always used heat lamps, which are bright, in the winter, and switch to florescent, which are not bright, in the summer. I bought these bulbs thinking they would be better in the summer when I didn't need the heat. Now I'm wondering if I can do with the lesser light of a heat lamp. Great light! Just wish they were more white in color. Well worth the price so far. If the reflectors were separate I would have ordered them but because the bulbs with attached shroud forces a more expensive option when it is time to replace (bulb and shroud together) I ordered just the bulb. I will make my own shroud if needed. I have two of them so far in my workshop. I need more than two but will buy them two at a time. To try it out. many LED bulbs don't have a color temperature compatible with our shades. I needed more light in my shop. Hoping it will fit in our church building light fixture. a huge ball. To save money. I have a big dark basement...I had ordered 4 and they work great...but still have a dark corner...these two will fix that and I will have a big well lit basement now! Redoing my shop lighting to all LED. I have been happy with the reflector shrouded version and assume these will be equally well suited for my purpose. To get great long lasting light more economically in my garage/shop for working and spray painting. Price is best I've found. Very dark deep closet under stairs with single bare light fixture. needed to replace the hooded light I previously purchased when I replaced the garage door opener that was longer and interfered with the current light fixture. Great illumination. I already own 2 of them. My barn is dark, 15 ft., on sale, I need more light. Needed high lumen bulb to replace burnt out incandescent bulb for workshop. have some in my shop and needed a few more. Best light ever, I can see now. Have 4 in shop ,need more to complete the shop. I have bought these before for our basement. They give wonderful bright light for my old eyes. I just recieved the 4400 Luman UTILITY LIGHT & my Wife wants this for her reading Light at her Desk. Reordering more of these bulbs as they have proven to provide the light I needed in my barn. Saw them on sale again and jumped at the chance to save some $. What are the dimensions of the bulb, specifically how far does the bulb extend from the base of the socket? BEST ANSWER: I measured the 2750-lumen bulb (150-watt equivalent) at 7 1/4 inches long and 4 inches in diameter at the widest part of the glass globe. The heat sink (silver colored metal part, is about 3 1/4 inches in diameter at the broadest part and only slightly less-- about 3 1/5 inches where it begins to narrow before entering the ceramic base--which means the bulb is very fat compared with conventional bulbs and will not fit in many typical lamps or other fixtures. I squeezed my bulb into a conventional, clamp-on-type, aluminum-shade work light, but the tip of the base only met with the metal-tab-contact after I'd bent the contact out a bit to meet it. The 14-oz. weight of the bulb and the 7 1/4-inch length make it too cumbersome for a light work lamp, so I'm saving the bulb for a future use. Will this work in a three step socket (i.e. is it dimmable)? BEST ANSWER: Any bulb will work in a three way socket. You will only have one position that will energize the bulb so you have to click the switch multiple times to turn it on. I would just function the switch twice when I turn the light off and it is ready to turn on with one activation of the switch. Have been using a LED bulb for half dozen years now without any problems. Put in a larger LED for more light and less energy consumption. A three step socket (usually called three way) requires two lights in one bulb. The switch cycles through the low power light, the high power light, and both lights. Unless a bulb is listed as three way with the three levels listed, it is not compatible. If you look at the bottom of the bulb, you will see a center contact and a ring around it. Will this bulb fit in an outside fixture beside a door entrance? BEST ANSWER: Without knowing your type of fixture, its dimensions, configuration and other relevant information specific to your situation, that would be a difficult question to answer. However, the base is designed to fit into a standard light socket. It's 5" in diameter and 8 1/2" long. Also, the manufacturer says it should be used in temperatures from -4F to 104F so outside use may be limited by temperatures where you live. How does it work in the cold? how do's lumens compere to watts? BEST ANSWER: Roughly 16 Lumens/Watt for an incandescent bulb. 16 watts for an LED is roughly equivalent to a 100-watt incandescent bulb. So 30 watts for an LED bulb (like what rockler is selling) is roughly equivalent to a 200-watt incandescent. Lumens are a measure of light output. Watts are a measure of electicity consumed. LEDs consume far less electricity than incandescent. are these daylite or soft white? They look like daylight type to me. Definitely not yellow. The spec show it is 4000K color temp. Daylight bulbs are typically around 5000K. Warm color bulbs are typically 2700 - 3000K. The 4000K of these bulbs is a little bit more blue and is considered cool white. looking for a bulb equal to 200 or 300 watts? BEST ANSWER: A typical 100 watt bulb is 1600 lumens and a 150 watt bulb is 2600 lumens (it looks like it is not a linear comparison). The 2570 lumen model in this bulb would be roughly equivalent to the 150 watt bulb. 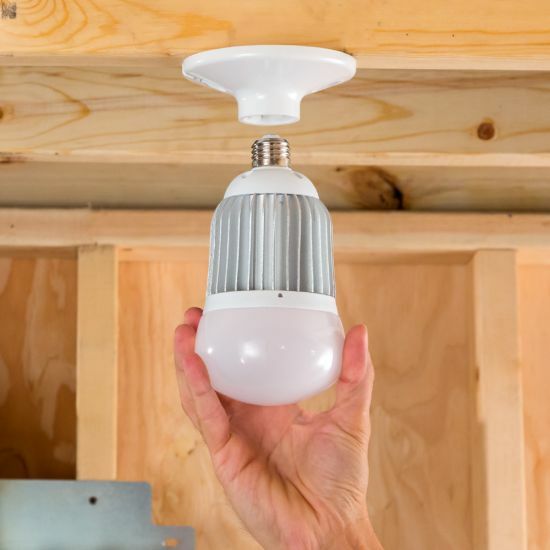 The 4275 lumen model of this bulb should be in your 200 -300 watt equivalent range. These bulbs are every bit as bright as a 300 watt regular bulb. The good thing is they only draw 50 watts. Can this bulb be used in an enclosed fixture? BEST ANSWER: After consulting with the manufacturer, these bulbs are not intended for use in fully enclosed fixtures. Adequate air circulation is required around the heat sink. Each installation is unique, and any installation other than the type shown in the illustrations should be evaluated by a qualified electrician prior to installation. Maybe but the bulb and the heat sink aren't especially unattractive with no fixture. Also, a fixture may reduce the bulb's ability to shed heat so I'd be cautious about installing it in a fixture. what are the dimensions, e.g. Max diameter, length from socket tip to end of the bulb, weight. Some people may have enclosures, or space limitations, and we can see the size relative to a hand so we know it's larger and heavier than a standard bulb? I’d feel confident in these measurements being within 1/32” and 0.1 oz. how do I get replacement under warranty of the LED Big Bulb? What is the warranty? How Hot does the Lamp get? BEST ANSWER: With a digital thermometer that has a metal probe (designed for cooking), I measured the temperature of the hottest part of the 2570-lumen bulb, i.e., the heat sink (the fluted metal between the glass globe and the screw-in threads), and I found it to be 150 degrees Fahrenheit in a room that was 74 degrees Fahrenheit. This measurement was done at half an hour after the bulb had been on. At that temperature, I could tolerate touching the heat sink for less than a second. Still, that's cooler than a 150-watt incandescent bulb, which would be intolerable to any touch. The glass globe of the LED bulb was only lukewarm in my cupped hands, and the metal conical shade that was an inch above the base and flared further away from the bulb as the shade extended outward was still cool. The lamp doesn't get hot, but the heat sink or metal base does get very warm/hot. Probably 150 -160 degrees with an ambient room temperature of 65 degrees. The device will need air circulation near the base. The bulb does get warm, but it does not seem to be as hot as a 100 watt bulb. It stays very cool. Provides a lot of light in my work shop. It doesn't get hot: it's a very bright, cool running led. Can these builds be used in Australia? BEST ANSWER: If Australia has 120 volt capability.......you're in! How many amps does it use and how does that compare to a 100W incandescent bulb? BEST ANSWER: The two available bulbs from Rockler are 30 and 50 watts. They are much brighter then a 100 watt incandescent light bulb. One bulb has replaced three two bulb fluorescent fixtures. Thanks, Richard. Although your answer is in watts, not amps, it still gives me an idea of the power usage. It appears that I will cut my power usage by about two thirds (2/3). Or, I can burn three of these bulbs for about the same as one 100w bulb and get about 50% more light at the same time. Wish they would include power usage comparison in their descriptions. Thanks, Brian. Great answer. Though, I think I'll be using the smaller 2575 lumen one so, the amps will be even less. I'll be saving considerably on power and getting about 50% more light. Pretty good deal. 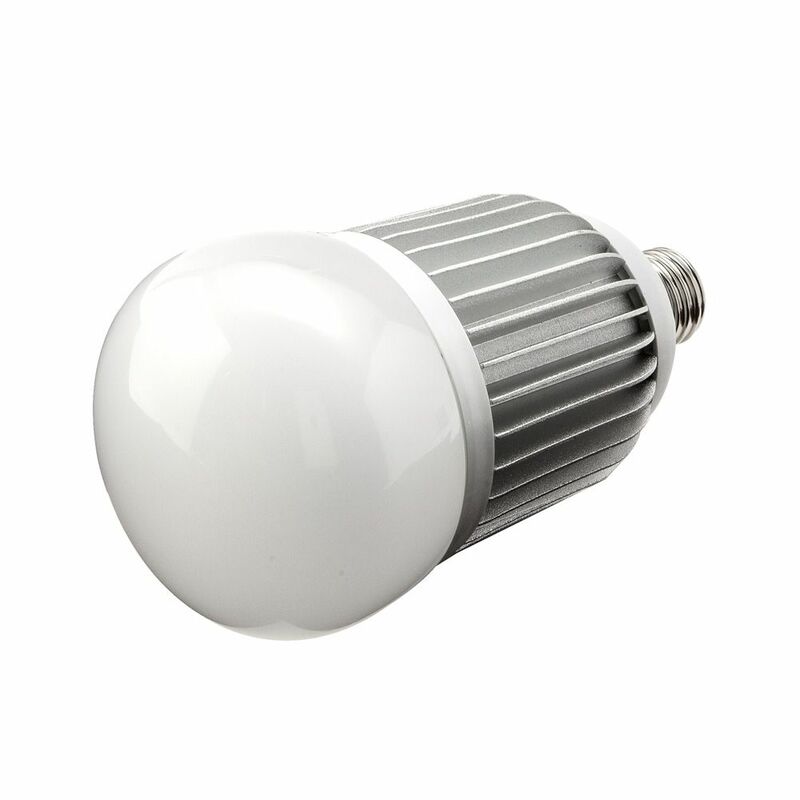 I received a model number BB30, LED Big Bulb rated at 30 watts input and 2570 lumens output. It's light output is roughly equivalent to a 150 watt incandescent bulb. I am very happy with it for the 3 months I have had it installed in my shop, a converted 1-car garage. Not sure how many amps, but I've been very happy with the bulb and it is brighter than a 100 watt bulb. This is a better bulb than the one with the cowling or shield above the buib. Lamp works better than my shop lights. Amps are real low. Better investments then I thought. Which bulb recommended for a 2 car garage/shop with 8' ceilings? BEST ANSWER: It somewhat depends on your age. At age 40, you need 3 times the light as you did at age 10, and by age 60, you need 10 times as much light as you did at age 10. Regardless of your age, bigger is better, and you won't regret getting the larger LED bulb. the shaded bulb directs the light downward more. The unshaded bulb lights the ceiling more. I have a taller ceiling and find that the Big Bulb 4275 Lumens is ok. On a lower ceiling like yours that might be might be too distracting. If you have multiple sockets in your ceiling I recommend 2 of the smaller bulbs. I would recommend the smaller size. The larger ones hang down a long way and with a 8 foot ceiling. Two of these would be great in a. Two car garage. One could work. At age 56, the brighter the better. I installed 2 of the 4275 lumens in my small shop and they are awesome!! I just put two of the 4275 Lumen bulbs in my two car garage and made a huge difference. will this fit in a recessed fixture ? Likely not. They are enormous; about 3 times the volume of a standard light bulb. Very bright though. Better suited for shop, basement environments. 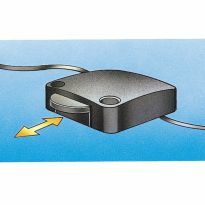 I wouldn't put this in a recessed fixture even if it did fit because LED's require air around the heat-sink or the temperature will cause the light to fail or worse: fire. Would not recommend using in a recessed fixture simply because of the large heat sink at the base. Possible over heating issue??? Depending on the type on recessed fixture this jumbo size bulb may not function as "recessed"? I am not aware of the depth nor diameter of your recessed fixture, so I can not say. 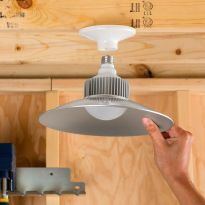 If it does not fit it may be worth changing the fixture to a ceramic because the bulb is very good for bright lighting. No, this is a big bulb and I believe that is will be too big to fix in a recessed fixture. I would also worry about the heat generated from the bulb in a closed fixture. How much heat does this put out? I have a 100w bulb in a reflector that I use close up for lighting the inside of pieces I'm turning on a lathe and it generates a lot of heat. I'm looking for something that will shed a lot of light but not the heat. BEST ANSWER: LED bulbs by design put out more light for the same wattage as an incandescent light. This particular LED bulb puts out about (my estimate) the same amount of light as a 150 watt incandescent light and be warm but not nearly as hot. Mark.....the bulb itself has basically no heat, but there are cooling fins that are just warm. I would say that you will be happy. I am VERY pleased with 8 that I have. All LED bulbs produce essentially no heat, which is one of the reasons they are so efficient. They are LED so not much heat. Very bright bulbs. BEST ANSWER: I Do not know. I use it in my basement & garage. They replace the standard 60w incandescent installed by the builder. I Love them.....especially with shrouds in the garage w/10' ceilings. I don't know if the light is dimable as I've never tried to dim the light I use it in the basement and it is a very bright and good light. I am very pleased with my purchase. I have it on a standard on/off switch, so I cannot answer that, but I have been really happy with the light and it has saved me from putting in a row of florescent lights. 5 answers so far, and all of them are "I don't know". If you don't know the answer, why post? Don't know. Use it in the garage/shop. Only dimmers are in the house and build is huge. I purchased one of these at Christmas with my lathe purchase but now I want to add the shroud but cannot find it separate. Can I find it or buy it someplace? I love the light it puts out but it is blinding when you turn toward it. 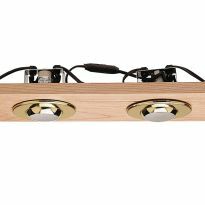 BEST ANSWER: Rockler does not sell a shroud for this light, nor do I know of anyone that does. 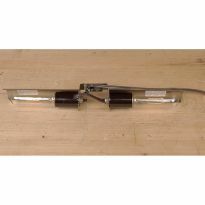 Rockler does sell a light with a shroud which I have purchased. The light is perfect for detail work. 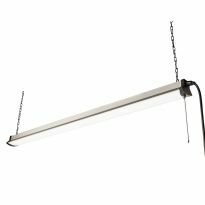 It is the same kind of light as you have but it has a shroud..
You could buy a 2ft by 4ft diffuser panel for a fluorescent light and make you one. I have mine in the ceiling and it really puts out the light (lumens)!! I have not tried to find a shroud. Mine is well above eye level, so it does not bother me. No idea. I do agree but have mine where it is a back light. Great light but funky. Can these bulbs be used in a carport not closed in on the ends? Sides are to the ground. BEST ANSWER: These lamps are pretty well sealed. Although I have them in my shop, I wouldn't hesitate to put them outdoors as long as I have an outdoor compatible light fixture installed. I plan to do just that in my solid roof pergola. Great lamps by the way. Very bright but without a lot of glare. compare to a standard 100 watt bulb? BEST ANSWER: It provides a lot more light from what I have experienced. Don’t remember exactly but I recall it has significantly more lumens which is how you would compare the relative light output or candal power. I also should add it is a huge sized bulb but works well for my needs. They give off more light and about twice the coverage area. I AM VERY PLEASED WITH MINE IN THE SHOP. Much, Much brighter. A better shade of light also. Who is the manufacturer of these large LED bulbs? I don't know the answer to that, but have been unable to find them anywhere else. Apologies, I threw out the box for the bulbs. I can say that they are AWESOME!!! What are the dimensions of the bulb? What are the watts? BEST ANSWER: This bulb is huge, it's the size of a pineapple! I believe it is 50 watts but over 4000 lumens. We have a small rustic and dark shop and this one bulb turns it to daylight. It was so bright it took awhile to adjust to it. Will these fit in an outdoor floodlight fixture? 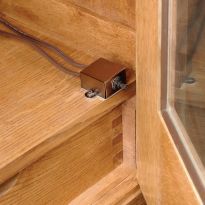 BEST ANSWER: 0nly if the fixture is well secured and the fixture doesn't have an enclosed/size-restrictive bulb housing. These lights are substantially larger and heavier than a normal LED bulb and didn't fit my garage fixtures. BEST ANSWER: I use mine in my workshop and it works very well. The description states it should not be used below -4 F so I would assume that out side use would be ok if it does not get colder than -4 in your area and is placed out of the direct path of precipitation.